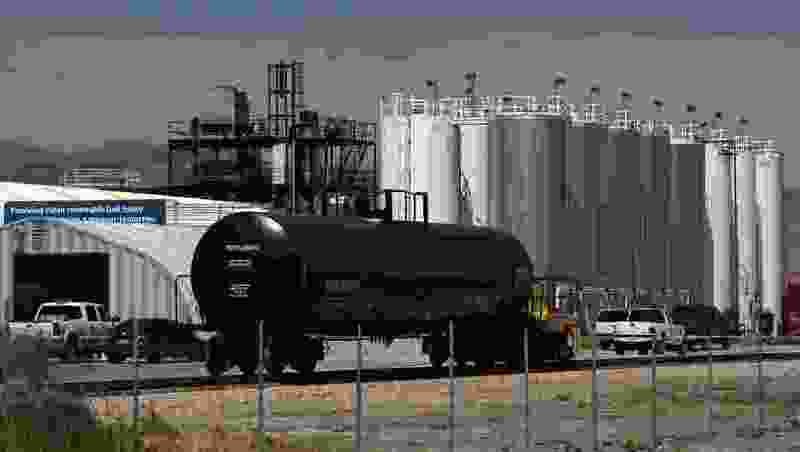 A Box Elder County biofuel company fined for exploiting federal tax credits by importing fuels they claimed they produced may pay millions to one such importer after the company abandoned a $90 million deal in 2014. On Wednesday, a federal court jury in New York recommended Washakie Renewable Energy pay over $25.3 million to Lifetree Trading PTE for damages suffered in the breached agreement. Washakie Renewable Energy is associated with the Kingston Group, a Utah-based polygamous church with fundamentalist Mormon beliefs that is also known as the Davis County Cooperative Society and the Latter Day Church of Christ. The legal battle began November 2014, six months after Washakie officials signed a contract with Lifetree to import 90,000 metric tons of Argentine soy methyl ester, or biofuel. Lifetree agreed to deliver the fuel in three 30,000 metric ton shipments, according to the contract, but when the first shipment arrived, Washakie refused to accept it. As they held onto the shipment, Lifetree lost millions, according to court documents. When asked for comment on the verdict, Lifetree’s attorney Joshua Abraham, said his clients were pleased. Attempts to reach Washakie’s attorneys were unsuccessful. The verdict comes months after Judge J. Paul Oetken, for the U.S. District Court for the Southern District of New York, found in June that the company’s legal position in the case — and sworn statements made by three Washakie representatives — was based on false information. For years, the case hinged on whether Washakie officials breached their contract by not following through with the deal. Attorneys for Washakie argued the company argued the company wasn’t liable because they hadn’t been able to secure a line of credit from a Turkish bank — a verbal condition they said dictated the contract. The attorneys claimed Washakie needed the line of credit to pay for the fuel shipment from the Turkish bank because they had holdings in the country. If the company couldn’t get that credit, the deal was off, Washakie attorneys argued. They supported that claim with sworn statements from employee Rachel Kingston and executives Isaiah and Jacob Kingston. The Kingston’s claimed they had required similar conditions in other deals. Bu two years into the case, “discovery yielded some significant revelations: namely, that Washakie did not have holdings in Turkey,” Oetken wrote. They also hadn’t made other deals with similar conditions, as representatives told the court. Washakie representatives conceded they lied, according to court documents. That admission narrowed the scope of the jury’s decision. Instead of determining if Washakie had breached its contract, now they just had to decide if Lifetree suffered damages. On Tuesday, jurors determined Lifetree was entitled to money for their losses and recommended a $25,301,470 payout. In 2015, Washakie paid $3 million in 2015 to resolve allegations that it sold credits associated with renewable fuels it had not produced. The company had in recent years become a frequent advertiser during Utah Jazz broadcasts and before movies shown at Megaplex Theatres.